Nothing says summer like a yard full of dandelions! Well at least until your hubby hires a lawn care service to prevent them! I keep trying to tell him that we are losing all those wish opportunities! He just isn't buying it! So...... Instead I stamp dandelions! This is another mini 4x4 canvas! Super simple to create for that college student heading off to college or a co-worker heading to a new adventure! 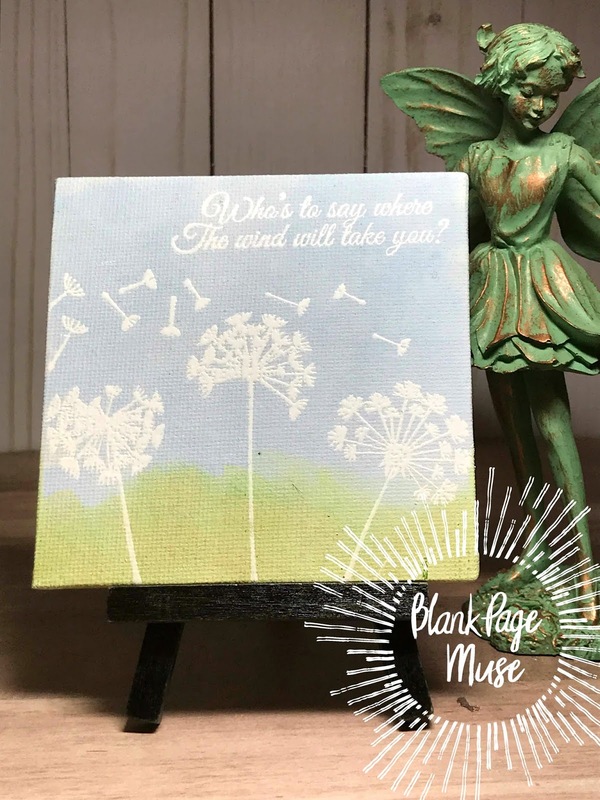 Stamp Dandelions and sentiment from BPM Dandelion Wishes Stamp Set onto canvas and emboss with White embossing powder. Gradually add ink to color background as desired! Wipe ink off of embossed images to finish! 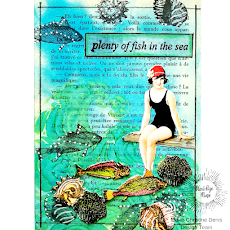 Hope you are a-MUSED by this project and are inspired to get stamping!